There are many different facets to community relations during construction which will be addressed in later blogs. This first blog on the subject concerns the vital role of resident liaison. The appointment of a community liaison officer is an excellent starting point as this ensures a single point of contact for local residents, a co-ordinated and consistent approach. In some cases, this role may be taken on by a Construction Impacts Group or development forum. Face to face and small community group meetings are helpful to speak directly with those individuals affected and respond to their concerns. Other engaging ideas used to encourage local residents to engage with the development team include the creation of community reporters – local people given the opportunity to interview the development team and report back to the community in the form of a newspaper or blog and a regular drop-in café with the incentive of free cake, to encourage direct communication between the construction team and community. The development team also has the opportunity to provide a series of events, such as ‘topping out’ a significant building, opening a play area or aspect of infrastructure. 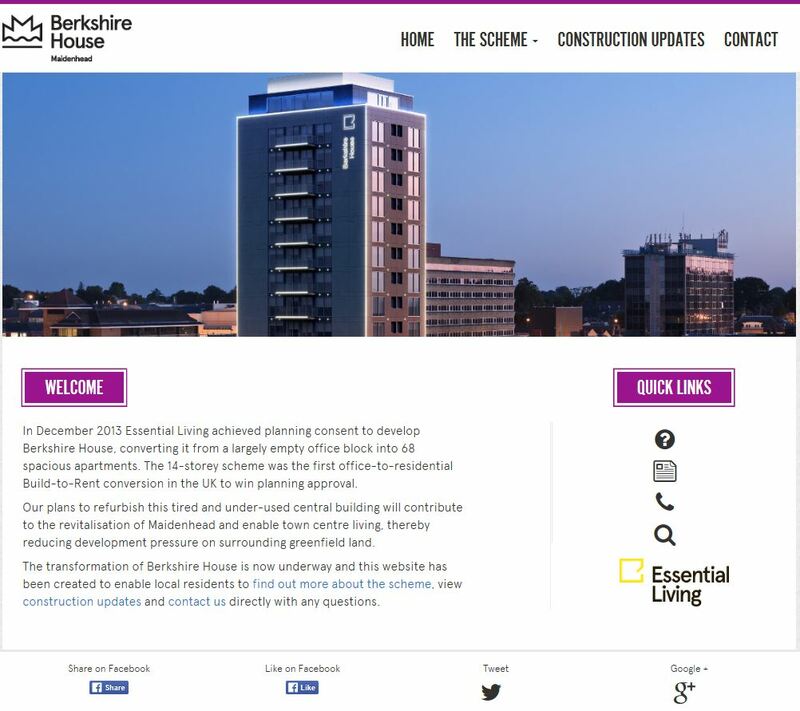 PNPR, through its new brand CommunitiesOnline, recently set up a community relations website for Essential Living’s Berkshire House scheme in Maidenhead. Essential Living had previously carried out a comprehensive pre-planning consultation using ConsultOnline to run an online consultation alongside an offline consultation. When planning consent was granted and construction commenced on site, a community relations website was put in place which provides substantial information about the scheme, its design, the construction timetable, the build-to-rent sector , facilities for residents, the site’s history and the team. Construction updates, with images of the development in progress, are posted regularly and as required, and users are invited to register both for construction updates via email and for future lettings availability. Quick links on each page provided help with navigation, while links to Facebook, Twitter and Google + encouraged users to share information. The website was promoted using the social media accounts set up for the planning consultation and is monitored using Google Analytics. It’s early days for the Berkshire House website, but there is every indication that this is viewed a very positive initiative in forging a good relationship with the local community.